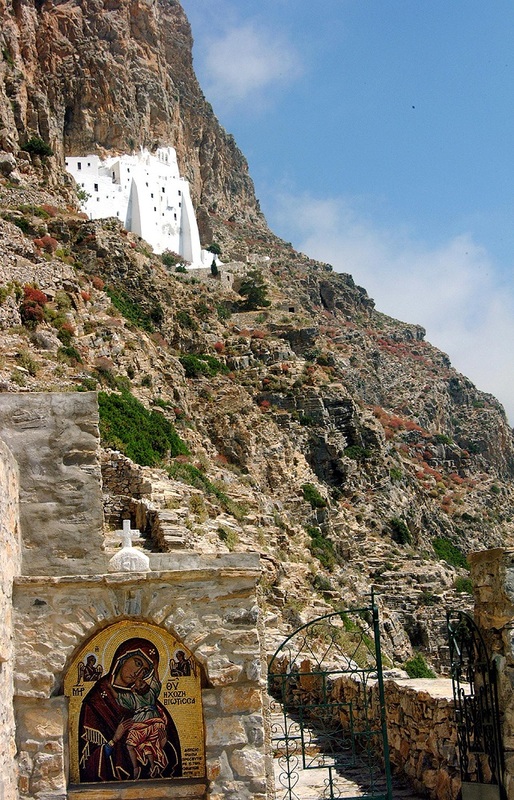 Our daily minibus guided excursion will first take you to the famous 1000 years old Monastery of Panagia Chozioviotissa that is dramatically hanging over the sea, and although reaching its top will take about 20 minutes walk uphill (approximately 300 stairs) it is totally worth it as you will get a tour of the oldest monastery, be greeted with a psimeni raki, and admire the most imposing views of the Aegean sea. 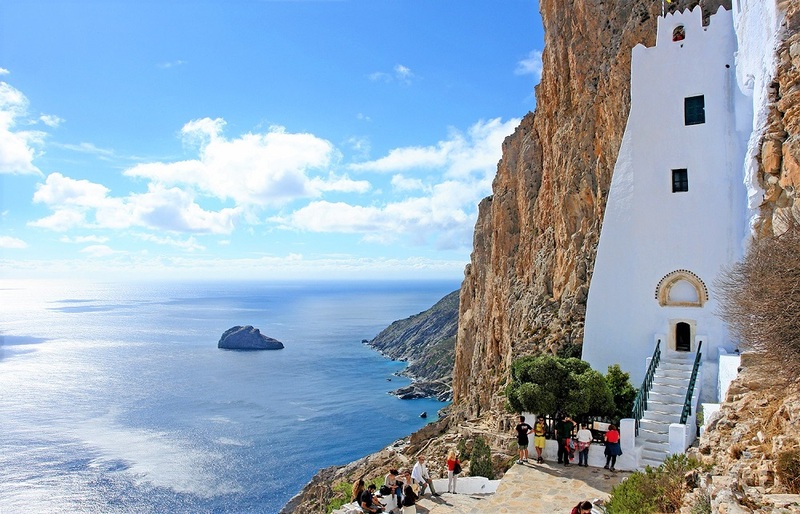 Next you will make a stop at the Saint George Valsamitis church and its sacred spring known for its miraculous healing properties, where a friendly nun will explain a lot about the island’s history and traiditions. 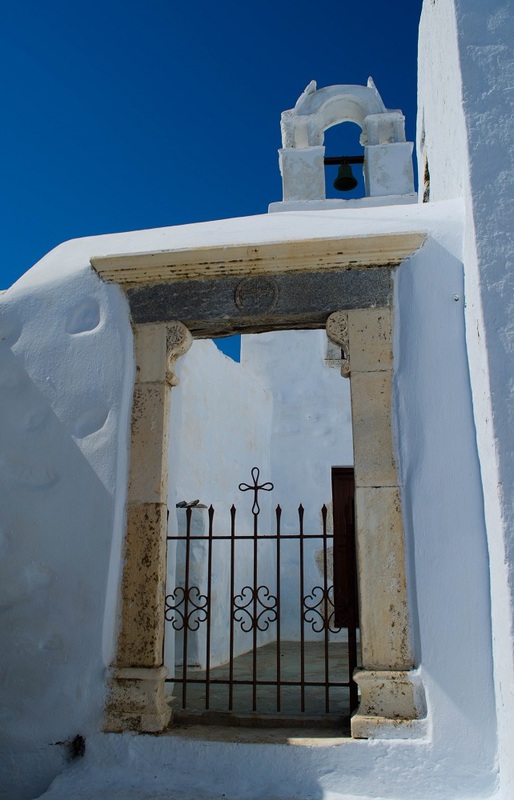 Finally, we will visit one of the most beautiful Choras in the entire Cyclades complex, where besides having a chance to wander through the narrow cobbled alleys of its postcard-perfect Chora, you could even unlock the medieval door of the Venetian castle that offers stunning panoramic views – just ask a local about the key! 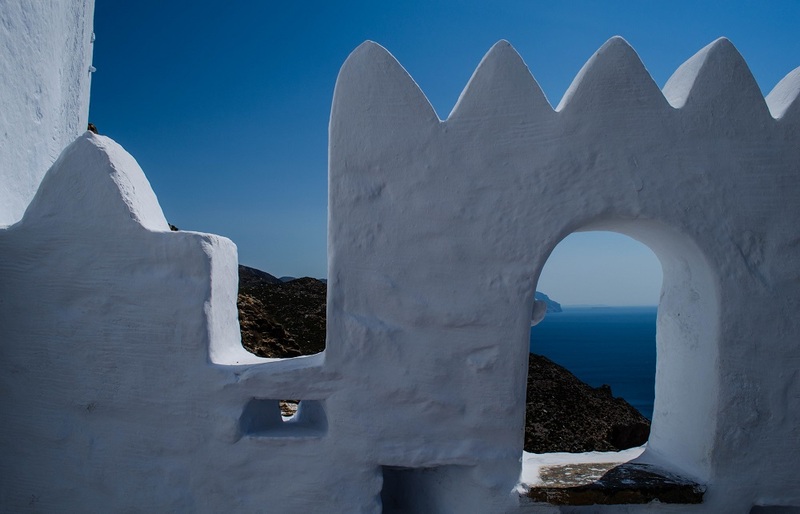 The divinity of these unique monuments and Amorgos’ wild sceneries will leave you breathless. 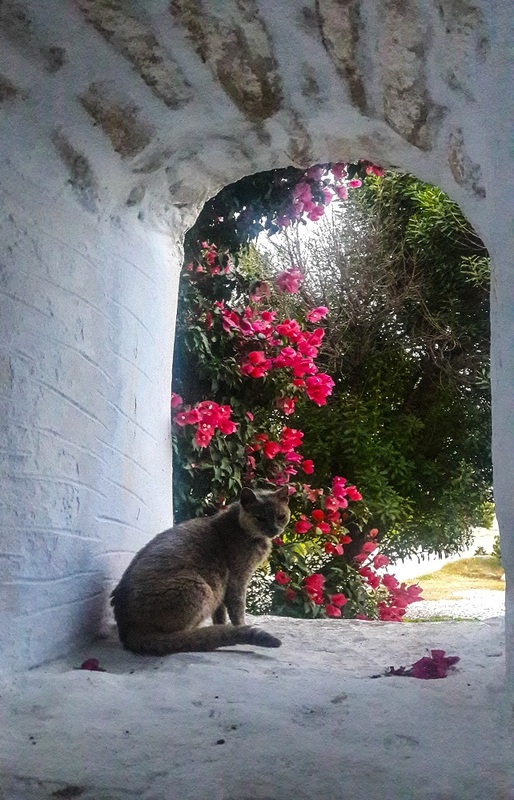 You cannot leave the island without seeing this noble side of its majestic beauty! This tour is organized (group) with minimum number of participants 10, or it can be arranged privately for small groups of 1 – 10 persons. Children (3-12 years old) and infants are welcome to participate with parental guidance. 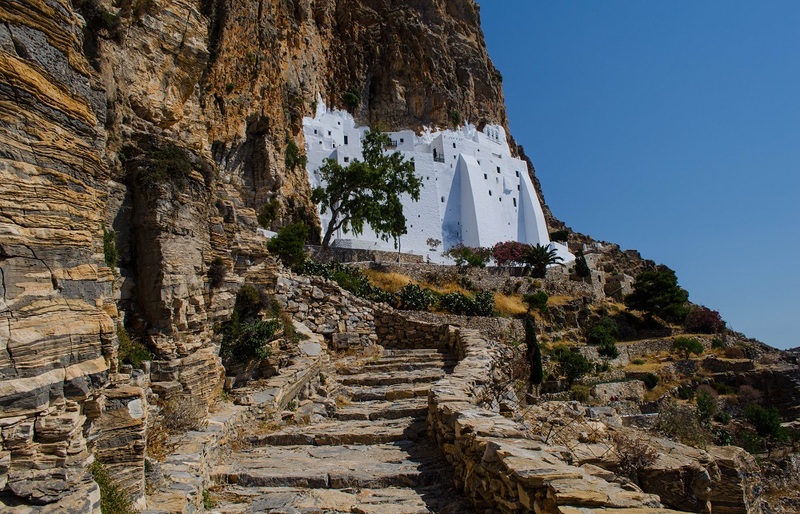 You are advised to carry cash for the admission to the museum and kindly note that to reach the Monastery of Panagia Chozoviotissa there are approximately 300 stairs involved (20 minute walk). 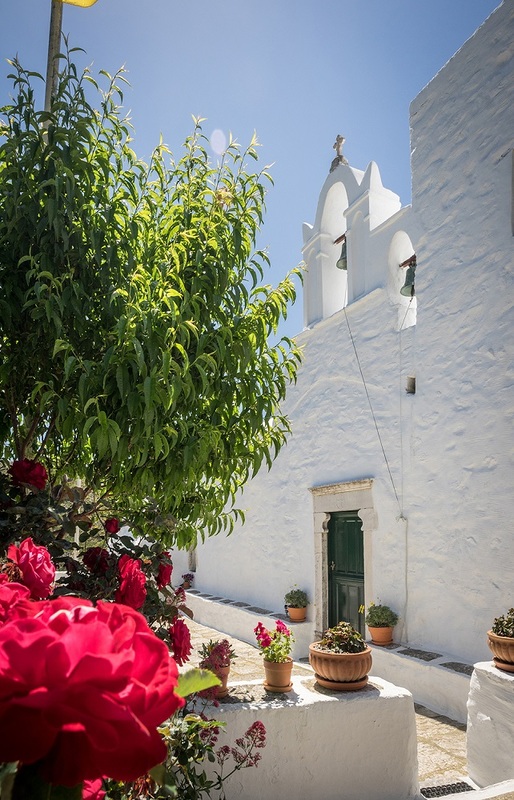 Finally we visit one of the most beautiful Choras in the entire Cyclades complex, where you get a chance to wander through the narrow cobbled alleys of its postcard-perfect Chora, or even unlock the medieval door of the Venetian castle that offers stunning panoramic views – just ask a local about the key! 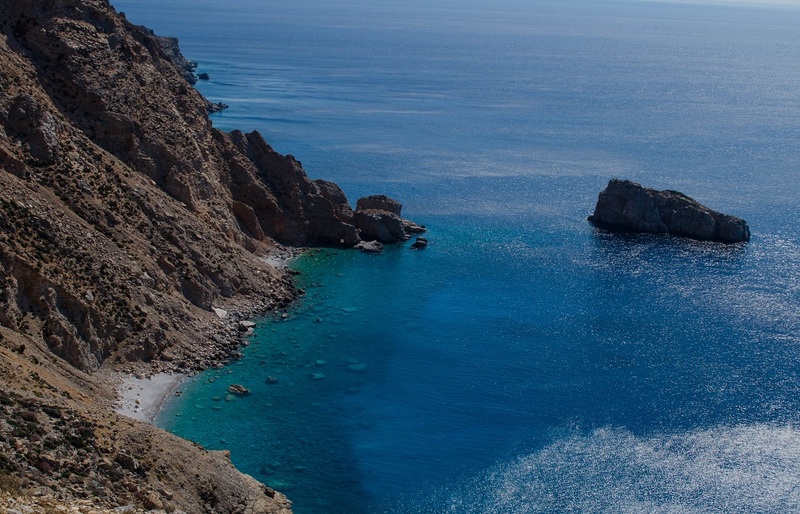 At the end of the tour, you will be dropped off at your hotel in Aegiali bay! 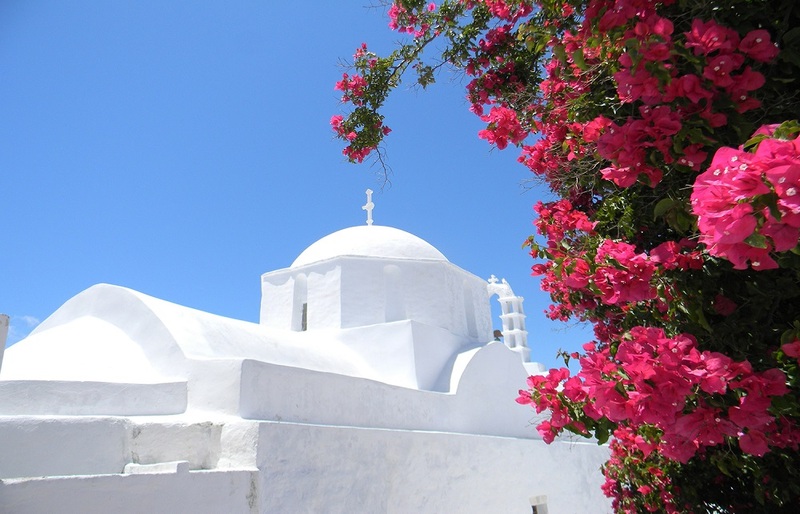 Dramatic mountainous morphology, wild seashores, picturesque architecture and strong spiritual energy! 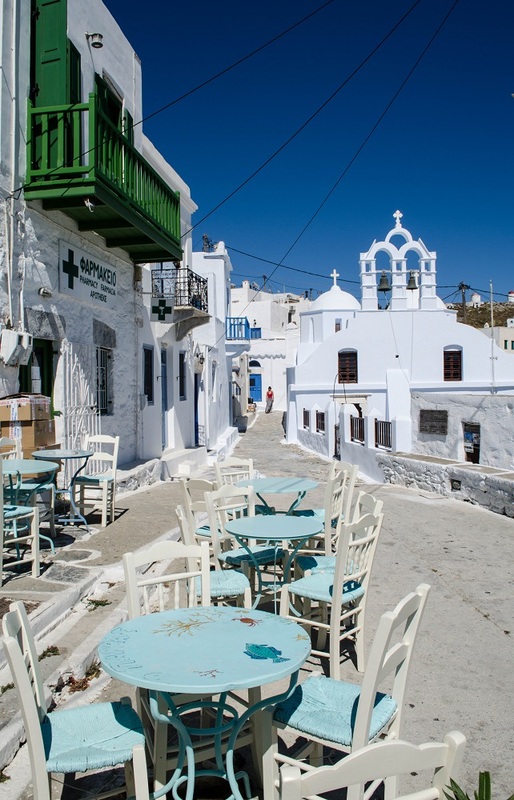 A definite MUST-DO while in Amorgos! !